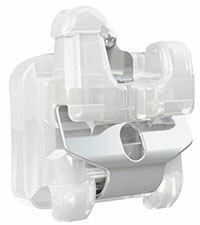 Today’s braces are smaller, sleeker, and more polished than ever before! Older, traditional metal braces require an elastic ‘o-shaped’ rubber band, called a ligature to hold the arch wire onto the bracket. These elastic ties collect more plaque and bacteria, making it harder for patients to clean the teeth and gums. 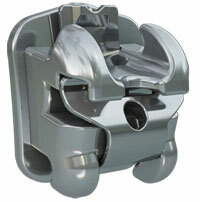 We use “Self Ligating Braces”. You may have also heard of them as “speed braces”. Self-ligating means that the brackets do not need the little ‘o-shaped’ rubber bands (ligatures) or metal tie wires to hold the arch wire onto the bracket as they have built in clips. We offer both metal and clear options to all our patients. called Empower. It utilizes a special built-in clip. The pressure from specific types of arch wires activates the clip and delivers specific amounts of force to each tooth, resulting in fast, directed results.